I wrote this poem in 2006 as a writing exercise for an online course. And then in 2010 I lived the poem when I met my life partner. With each breath, she leaned closer, wishing to fall into its wonder. For love had invaded her being – body, heart, mind and soul. No longer could she view the world in concrete terms. Life now reeled with poetry. Metaphor flung itself over the precipice and dove into the gorge below. 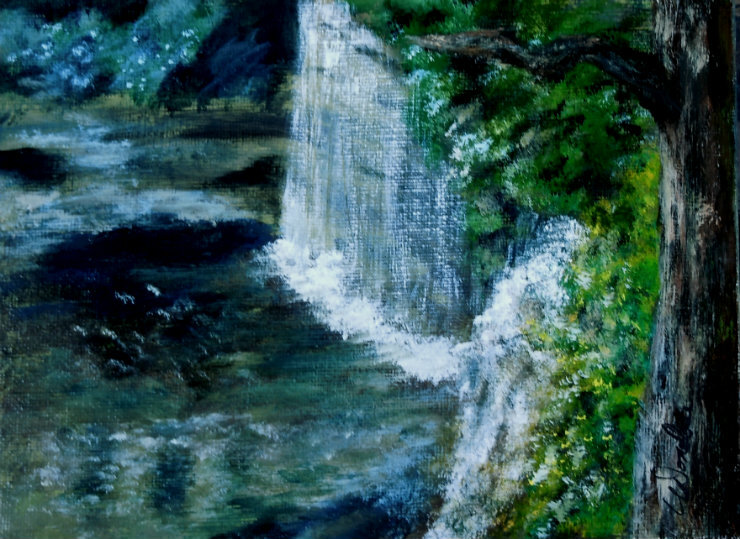 Simile cascaded over the rocks and dripped from foliage along the water’s path. ← I love you Dad and I miss you! Happy Father’s Day! So happy for you and you express your feelings so well. Thanks so much Janette… That means a lot coming from you…..!